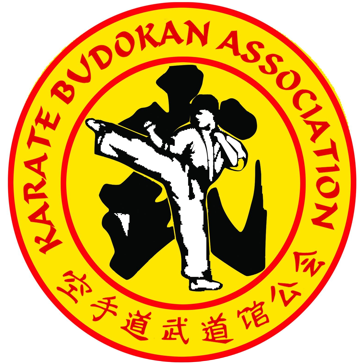 Affiliated to: Karate Budokan Association, Malaysia. Move Forward Outer forearm block change front leg into Kiba Dachi with elbow strike and back fist, change front leg into forward stance with reverse punch and lower block. Move Forward in Back stance with knife hand block and front kick with front leg and put the leg in forward stance, reverse finger thrust and lower block. Kamae: Front kick with front leg & put the leg down, front kick with back leg & put the leg in forward stance, forward hand punch & reverse punch, kamae. Kamae: Round house kick with front leg & put the leg down & round house kick with back leg, back fist and reverse punch, kamae. Kamae: Side kick with front leg & put the leg down, side kick with back leg put the leg down in kibadachi, back fist and reverse punch in forward stance-kamae. Kamae: Front kick with back leg & withdraw the leg into back and back kick with same back leg, put the leg in front in forward stance, lower block and reverse punch-kamae. The following kicks with 4 counts: Front Kick, Side Kick, Round house Kick & Back Kick. Kata: Heian Shodan, Heian Nidan, Heian Sandan, Heian Yondan, Heian Godan, Tekki Shodan, Bassai Dai.